ClickBank University 2.0 Review – Scam or Legit? Everything You Need To Know! Nobody on earth would doubt the credibility of a product made by ClickBank but don’t be tricked in this case because ClickBank University 2.0 is something different. There are a number of things that people don’t know and plenty of facts which many of the experts don’t bother to discuss. 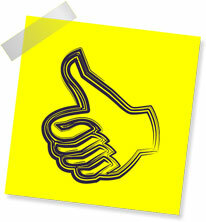 In today’s ClickBank University 2.0 review I will unveil various aspects of this offer. I will tell you what really the program is all about and what it actually all costs. Moreover, it is important to know if this program is for you. You have to be smart enough to realize what is suitable for you and what doesn’t suit your expertise. People often remind me about the ClickBank University 2.0 scam reviews and I’ve actually gone through a few but the conclusion they draw has never been convincing. They don’t provide a solid logic behind their statement. So I decided to reach the truth and let you know what this platform is and what it actually offers to its buyers. What Exactly Is ClickBank University 2.0? Back in 2013, a group of three tech-experts introduced a promising program for everyone looking to generate online income through affiliate marketing. ClickBank is one of the most popular platforms in this regard and even vendors prefer it for its secure system and reliability. 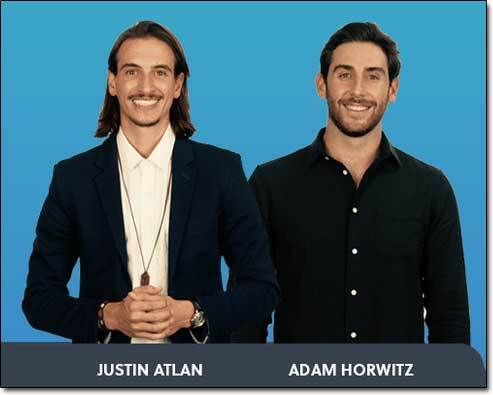 Back in 2016, after the successful experiment with the inaugural version, Adam Horwitz, Matt Hulett, and Justin Atlan decided to release the ClickBank University 2.0. When it comes selling digital products, ClickBank has no parallel as a trusted platform for affiliate marketers. ClickBank University 2.0 is basically a training program. If you’re looking to earn online income by selling digital products then this program can guide you to the right direction. On top of selling third party products as an affiliate the ClickBank University 2.0 program also has training on creating your own products, selling them as a vendor & leveraging affiliates to do the promotion. The website claims to offer two types of training programs. Both have different time duration. 8-Week – The first is a two-month (8-week) training program. Primarily, this package is for affiliate marketers and it focuses on teaching you the art of selling digital products made by someone else. It is more about the marketing expertise. You actually help other sell their products and earn commission. There is no need to invest time, money and effort in creating your own digital product. The demonstration video and the content on the web page doesn’t actually reveal a lot about the content of this training program. To me, it doesn’t seem to be a comprehensive program or I can say that the quality of this training is not up to the mark. This is what I have learnt from some of the trainees who actually purchased this package back in 2017. It seems to me that the Wealthy Affiliate program (which is actually free to join) is a better alternative for people, especially newbies to find success through affiliate marketing. 12-Week – This three-month training program is designed for vendors who want to sell their own digital products. In my view, the ClickBank University 2.0 training is actually puts more of a focus onto the content of this 12-week course as opposed to the 8 week affiliate marketing course. It covers various aspects from the creation of avatars to the creation of digital products, from landing pages to sales funnels, from driving traffic to affiliate promotions, and much more. This package authorizes the subscribers to participate in the live Question & Answer session with the co-founder of the program – Justin and Adam. $47 a month is not too much in relation to the quality of the course, however be aware that the platform also features upsells worth over $500 so as you go through the process you should expect to have to spend more money to get the “full deal”. How Does ClickBank University 2.0 Work? Despite all the good things about the training and pricing, there is a huge setback for the members. The advertised content and the promo video doesn’t talk about the restricted training content. This is like a computer game where first few stages are unlocked but the advanced stages are kept locked until you clear the initial stages. It means that you have be patient… You can’t just pay for the first month and get access to the complete training content. In my opinion, this isn’t immoral. It is a good idea to keep the trainees following a set process and make sure that they don’t skip any stages, otherwise it could lead to confusion/information overload. I don’t doubt the credibility of this platform. The training is genuine and valuable and it will no doubt help you add value to your affiliate marketing campaign. However for the newbies, I don’t suggest this training program. You need to know the basics. Without prior experience, this program could end up in disappointment. I don’t want to be unfair but the truth is the truth! I would have been much happier had it included something for the beginners. Don’t worry though because if you are a beginner then as I mentioned earlier in this review there are other legitimate programs you can get started with such as Wealthy Affiliate which you can join for free. For vendors though, I think the ClickBank University 2.0 training program is very good. The 12-week training will guide you through each and every step. The Q&A Live Sessions are also an impressive feature. If I ever decided to launch any of my own products online I think I would personally also turn to the ClickBank program myself. My Verdict – Is ClickBank University 2.0 a Scam? ClickBank University 2.0 is not scam. The training course is 100% legitimate & the best thing about it is that it doesn’t actually trick you into something else like most of the other money-making scams I regularly expose. This is genuine training program completely free of never-ending sales funnels or MLM promotions. I don’t smell a rat! I wish we get more and more opportunities like this. The platform is genuine, the name is credible, and the people behind the training program are 100% reliable. The only downside as I mentioned a couple of times already is that it’s not really so great for complete newbies – but if you’ve already got a little bit of experience then you’ll likely find a fair bit of value in it… Otherwise I suggest you check out Wealthy Affiliate instead which is actually one of my all-time top recommended programs for people looking to get started with affiliate marketing. On top of that you could also check out my Ultimate Guide To Making Money Online for a whole bunch of other methods too. 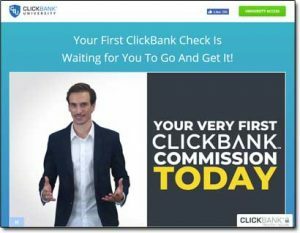 Overall though Clickbank University 2.0 gets a thumbs up from me – there’s a lot of quality content inside & I don’t believe it to be misleading. Yes it may be a little hyped up in terms of income claims, but with regards to the training – what you’re promised is what you get. Is The Freedom Secret a Scam? Read My Review!